Pipe tee are important in constructions. With the help of pipe tee, two or more plumbing pipes can be joined, and the function of pipe tee is like a type of connector. 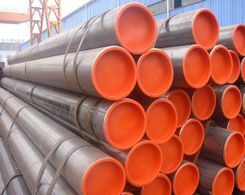 Pipe tees are widely used in the petroleum field, by using pipe tees, the API steel pipe can join together. Meantime, it is also widely used in the plumbing pipe area, with the help of pipe tee, two or more plumbing pipes can be joined, and the function of pipe tee is like a type of connector. How does the pipe tee get its name? Just because of its shape, it can join the two pipes at a 90-degree angle, just like the shape of the letter ‘T'. Because of its excellent versatility, the pipe tee is widely used in many fields, such as residential, commercial, and industrial ones. With the pipe tee's help, plumbers can assemble two individual pipes into a line. In order to make it flows to two different areas, the plumber may also spilt the assembled line. For instance, in a home, we want the water in pipe can be directed to both the bathroom and the kitchen, at this time, we have to seek help from the welded steel pipe tee. It maybe also used in the home's washing-out system, in this system, two pipes in which flowing different liquids gather into a single discharging pipe. In industrial field, using pipe tee, disparate liquids in two pipes can be mixed together into hybrid fluid and flow to their ultimate bourn. A majority of plumbers use pipe tees which match the texture of the ambient pipes. For instance, generally, plumbers are accustomed to use aluminous pipe tee to connect aluminous pipes, while they always use plastic pipe tee to connect two plastic tubes. 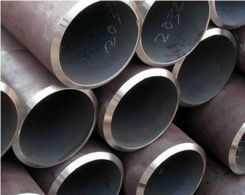 In order to meet different requests, manufacturers also produce cooper, steel, composite pipe tees. A normal pipe tee can connect pipes of the identical diameter, though some of them would operate with decreasing couplers. If the pipe tee has a reducer, then it can be used to connect pipes of different diameters. Choosing a pipe tee should fit each pipe, meantime, it should meet the requests of particular project for humidity, temperature and the like. 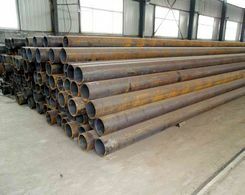 And the diameter and thickness of the black steel pipe tee have to meet the pressure and flow requirements. Generally, in order to ensure a secure and effective installation, each region has its own plumbing codes specifying the types of devices that should be used on different types of projects. With pipe tee in constructions, the working will become easier than before.